This is the 2ND time I have ever had this lovely Chrysanthemum Palm Stone in a gorgeous polished free form FLAT stone like this! If this calls to you, do not hesitate to purchase it!! These are the only few I have in stock and they will soon disappear! 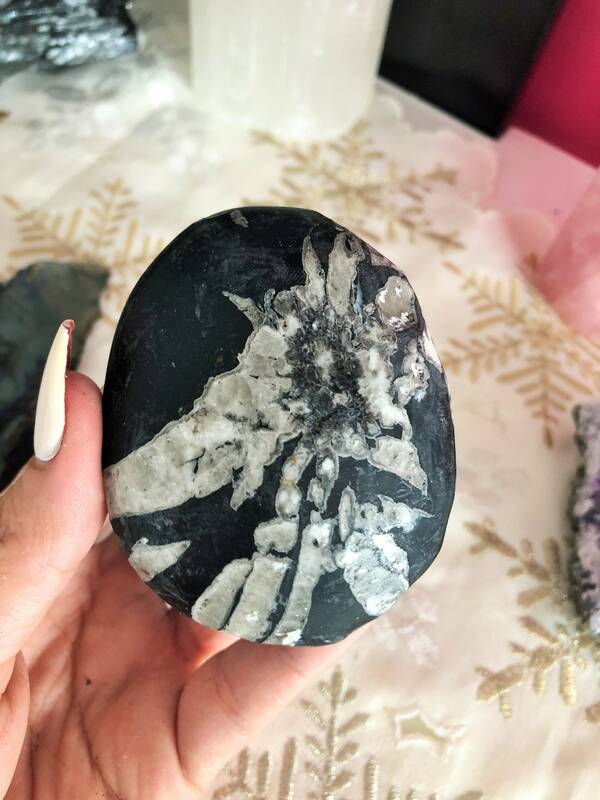 Chrysanthemum stone has unique patterns embedded in the stone that resemble flowering chrysanthemums. 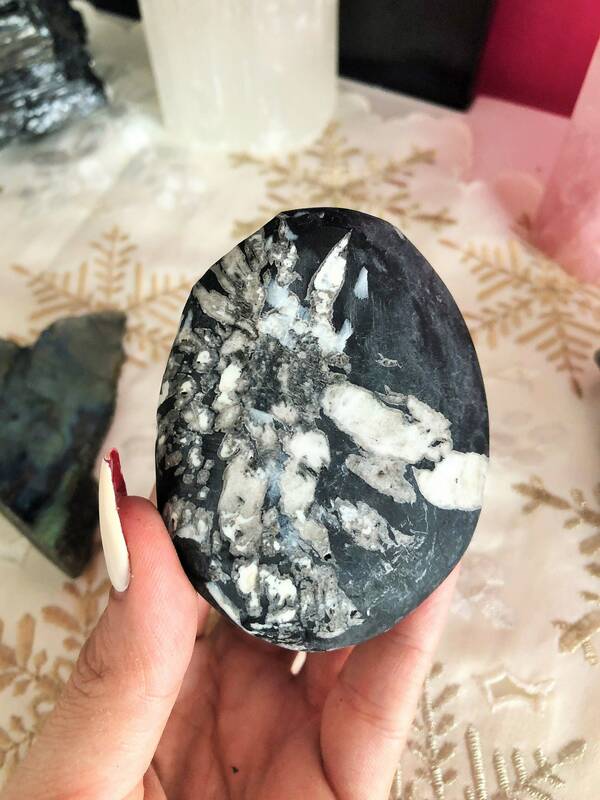 This stones energy awakens your true purpose in life and lends the support and courage necessary to follow your dreams. 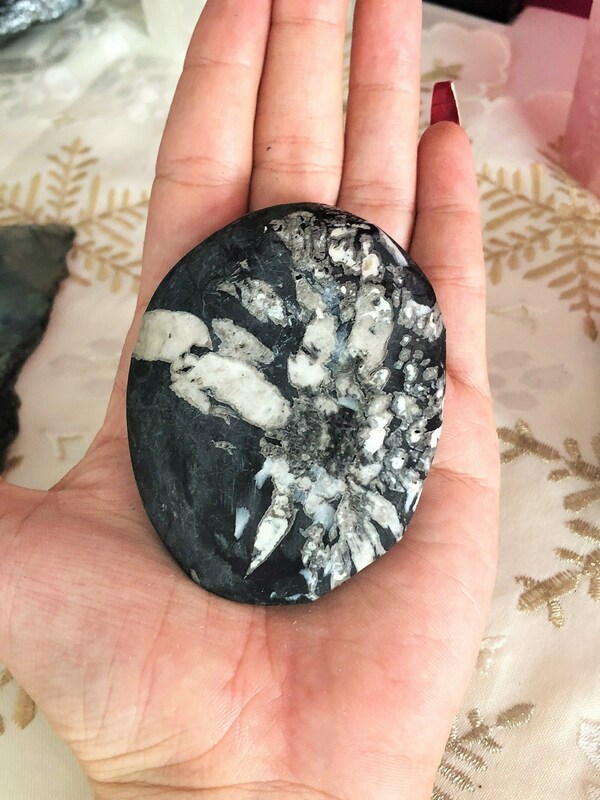 This unique stone makes a wonderful gift for anyone starting out on a new path (such as an infant or someone making a career change) or between lovers embarking on a new life together. It helps one to start and to continue.